Where Could Your Shoulder Pain be Coming From? 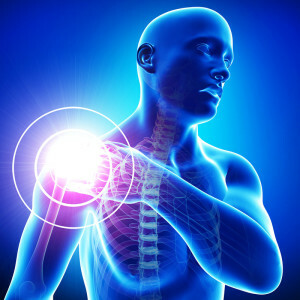 At some point during life, two out of three individuals will experience shoulder pain. For a decent amount of those people who have shoulder pain, it is not actually coming from the shoulder. Where else could it be coming from? One of the most common areas of shoulder pain coming from outside the joint is from the neck. If an individual has either a herniated disc that is pushing on a cervical nerve roots or spinal stenosis that is pushing on one or multiple nerve roots, that can lead to referred pain in the shoulder that may masquerade as originating from the shoulder. Another source of pain that refers to the shoulder is from the biceps tendon. The biceps itself has two origins, one in the shoulder and one actually outside it. 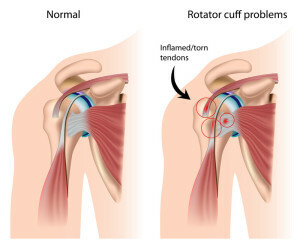 If it’s gets inflamed and tendinitis is occurring, a person may complain of shoulder pain when actuality it is coming from the tendon and should be treated as such. 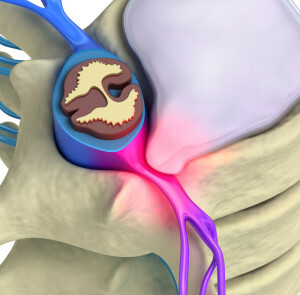 A cervical herniated disc may lead to pain in the shoulder. the acromioclavicular joint, called the AC joint for short. This is the joint where the clavicle meets up with the acromion. It is a small joint, but can cause a lot of shoulder area pain if it is arthritic and inflamed. There is a nerve called the suprascapular nerve that may become pinched in the spinoglenoid notch. This may cause pain and weakness in the shoulder, but the source of the pain is actually not in the joint at all. A cardiac event can refer pain into the shoulder, specifically the left shoulder. This may cause pain that appears to emanate from the shoulder, but in actuality it is occurring from angina or an ongoing cardiac event. For a physician working up shoulder pain, it is often evident on physical examination that the shoulder is not actually the source of the pain. It also may take a diagnostic Injection into either the joint or the subacromial space to see if that relieves the discomfort. if it does, the shoulder can be assumed as being the generation of the pain. The most concerning external source of shoulder pain is obviously the potential for a cardiac event, so physicians should have a low threshold for getting this worked up emergently if suspected. Rotator cuff problems lead to shoulder pain. that the shoulder is actually causing that pain. It may be coming from somewhere else and simply referring pain in. If you live in the Las Vegas or Henderson area and are experiencing shoulder pain, a Pain Clinic in Las Vegas can help delineate whether or not your shoulder pain is actually coming from the shoulder. Pain Management Las Vegas Clinics have Board Certified doctors and Las Vegas Chiropractor doctors who are experts in the workup and treatment of shoulder pain.